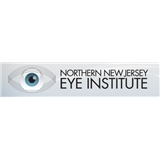 Northern New Jersey Eye Institute (Elizabeth) - Book Appointment Online! Through the years, thousands of patients have chosen The Northern NJ Eye Institute for complete eye care. The Institute understands the importance of top-quality eye care and our doctors go out of their way to treat you like the individual you are. At The Northern NJ Eye Institute, we know that eyes are your most precious natural resource, which is why we've spared no expense to bring you the latest, safest, state-of-art methods and skilled board-certified eye specialists we could find. Our staff will help you see all the beauty in life there is to see, with medical care that accommodates all your vision needs and changing lifestyle. From advanced no-stitch cataract surgery (Rapid Vision Cataract Surgery - an advanced procedure which involves no needle, no-stitch, no patch and no restrictions), preventative eye care to LASIK surgery, you'll find it all right here, under one roof. Please note that our practice may charge a fee for appointments that are not cancelled with 24 hour minimum notice. Dr. Crane is a great vision specialist. He is always friendly and gives an explanation of his diagnoses. Dr. Super is a very thorough Opthamologist. I feel that I'm on good hands.